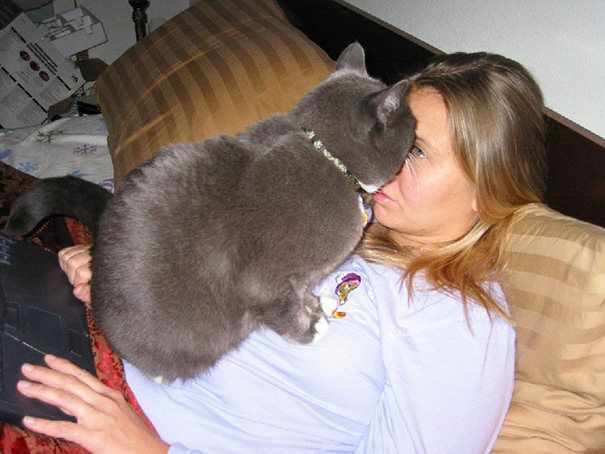 Everyone who has a cat knows one thing to be true across the board: cats do not understand personal space. This is a 100% thing for all cats, zero concept. It happens daily. Kitties follow us everywhere and invade our bubbles. 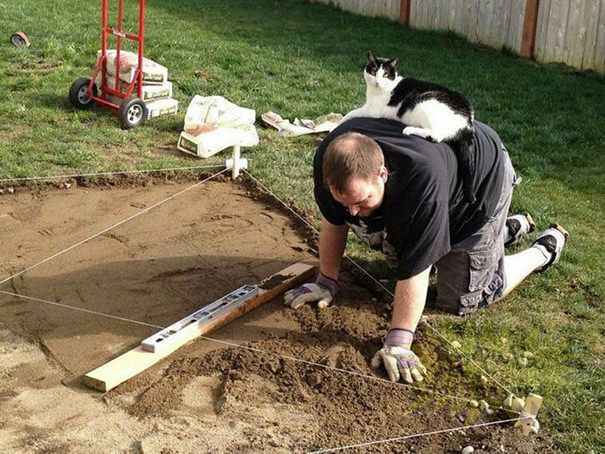 They sit on things we want to use. 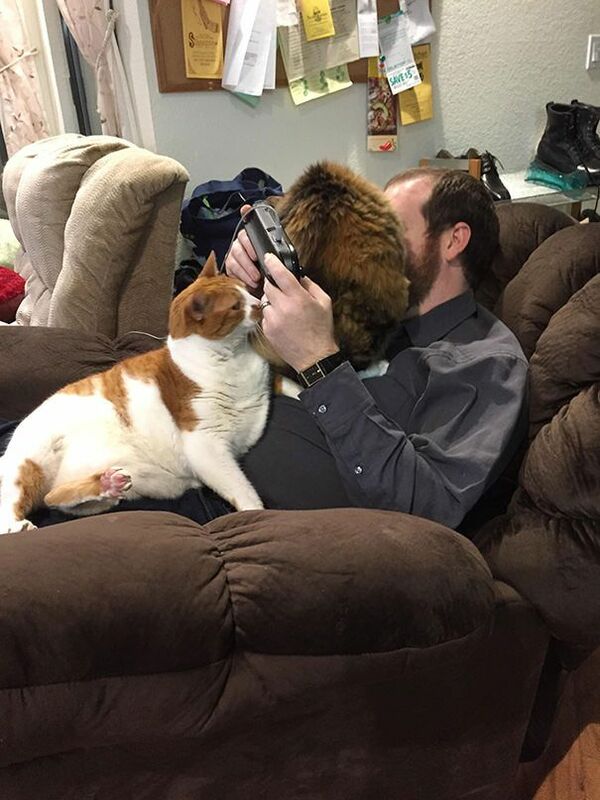 They sit on us so we can't move. They follow us to the bathroom even! They're worse than toddlers in that respect. They're perpetually curious in the most adventurous and invasive ways possible. Perhaps this is a reason we love them so much? 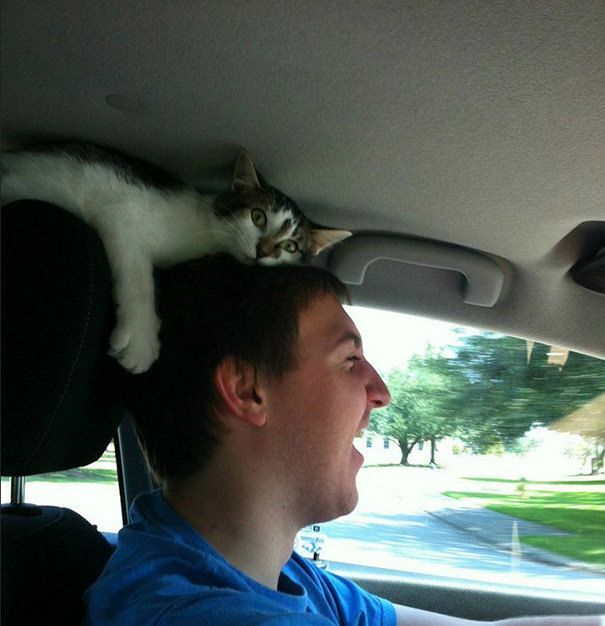 Surely it must be since there are no exceptions to this "law of cats." The only problem is when they are at their cutest we don't always have a camera ready. These cat owners, however, were savvy enough to catch their curious critters on camera so we can all kick back and laugh at just how ridiculous cats can be. Oh hi there, were you busy or something? 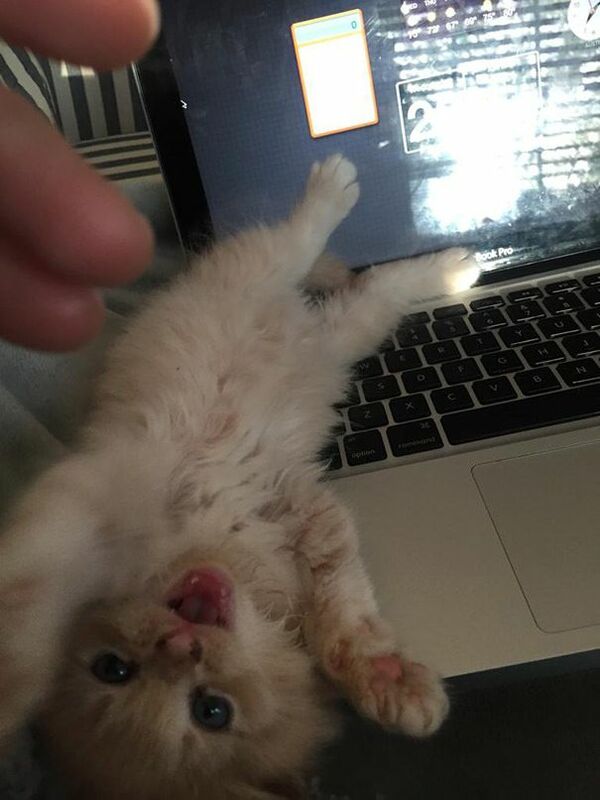 The most important thing is that kitty now needs your attention. Nothing quite like an evening at home. 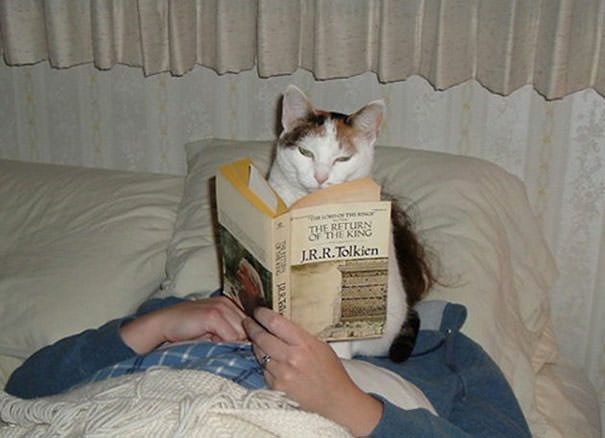 A good book and a cozy seat. 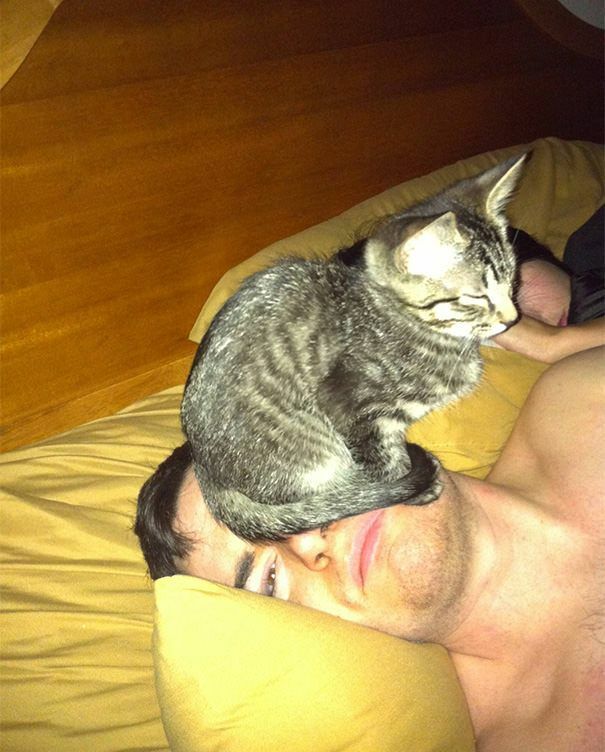 Particularly on your human's face. 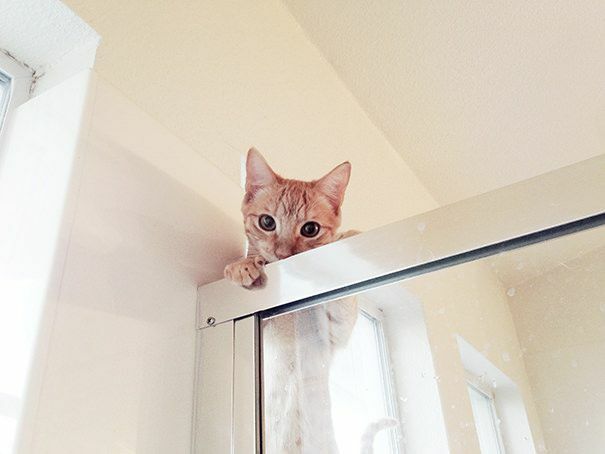 You're showering when you could be feeding me. 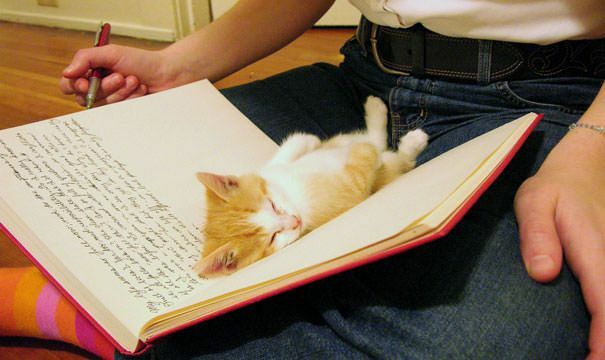 Ah, purr-fect time for a snooze. 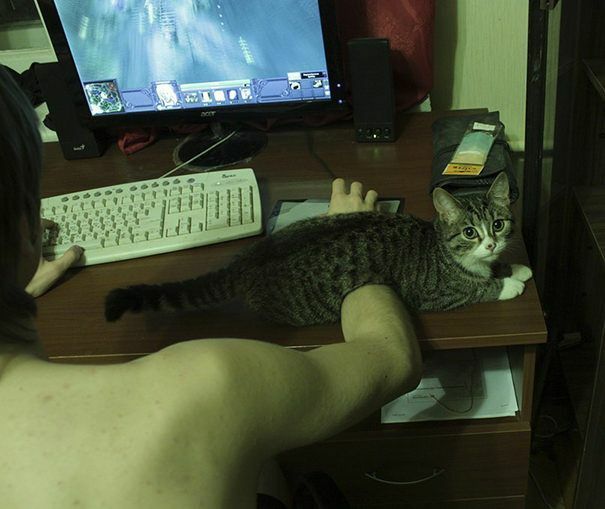 We can do anything despite our cats. 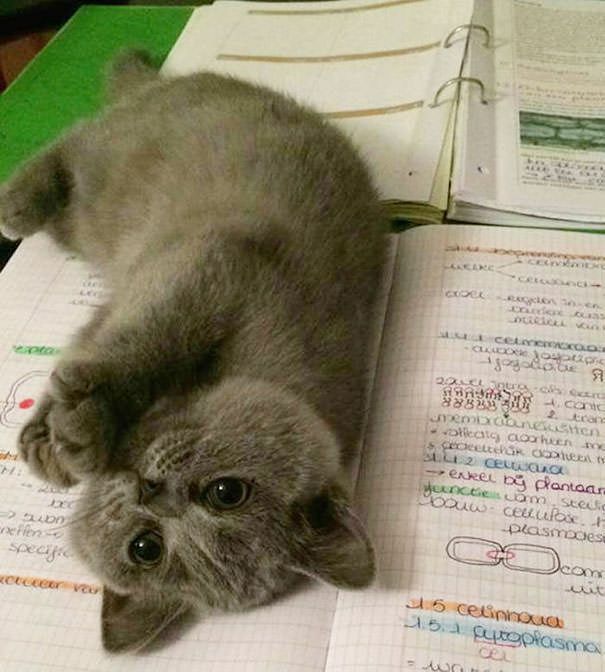 Whatever homework you have going on, kitty needs to remind you that it is time for boops. Who said it was bubble bath time? 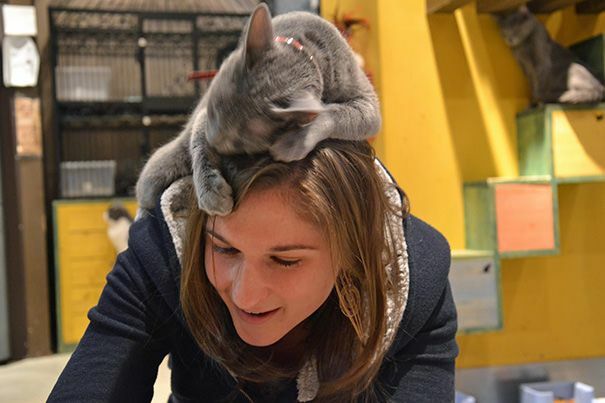 Purr-ty sure it's snuggle the cat time. 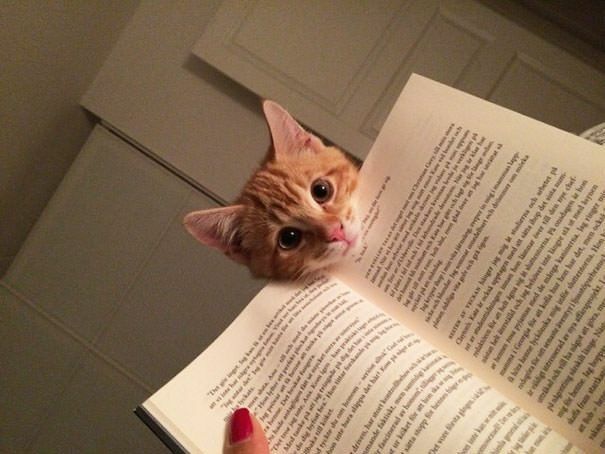 There must be something about the smell of a good book. Crisp paper? Who knows. 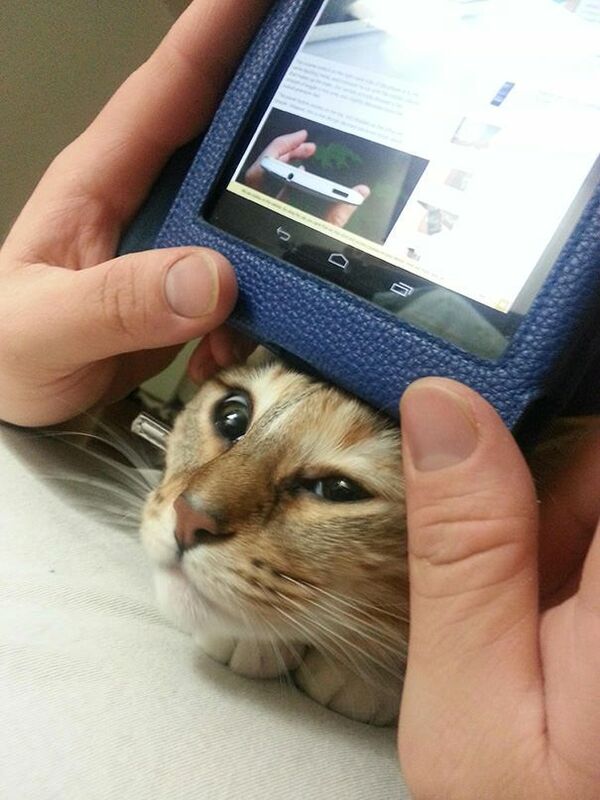 Cats love it, though! 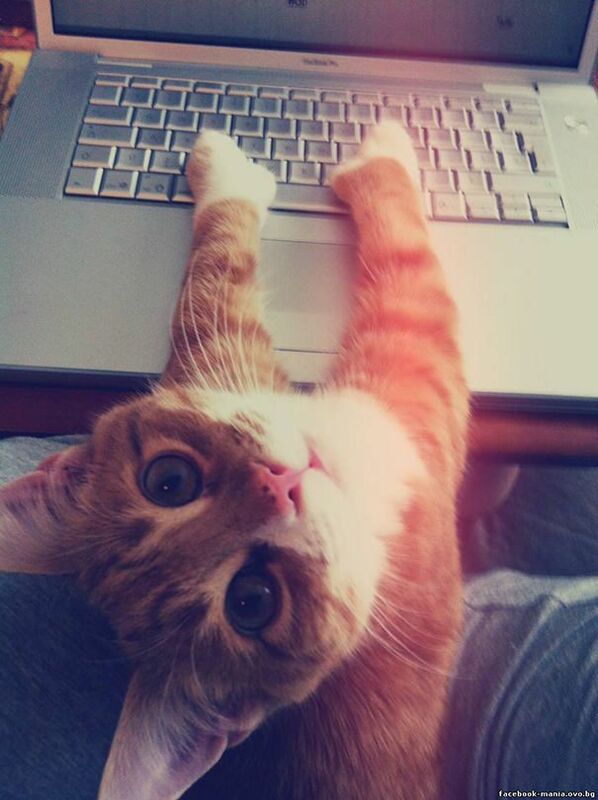 "Human, I need to tell you something." 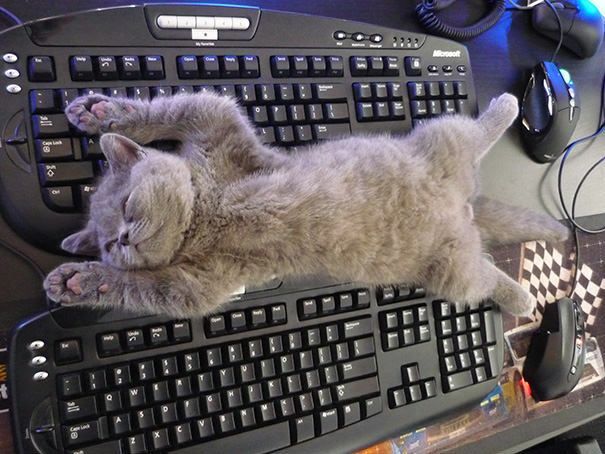 Two keyboards means double the stretches. 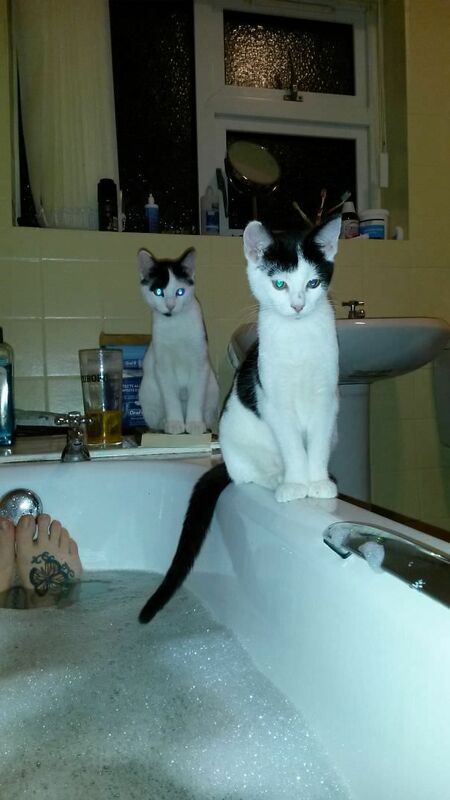 You requested an audience at bathtime. If you think you didn't, you're wrong. It came with the package when you brought home cats. 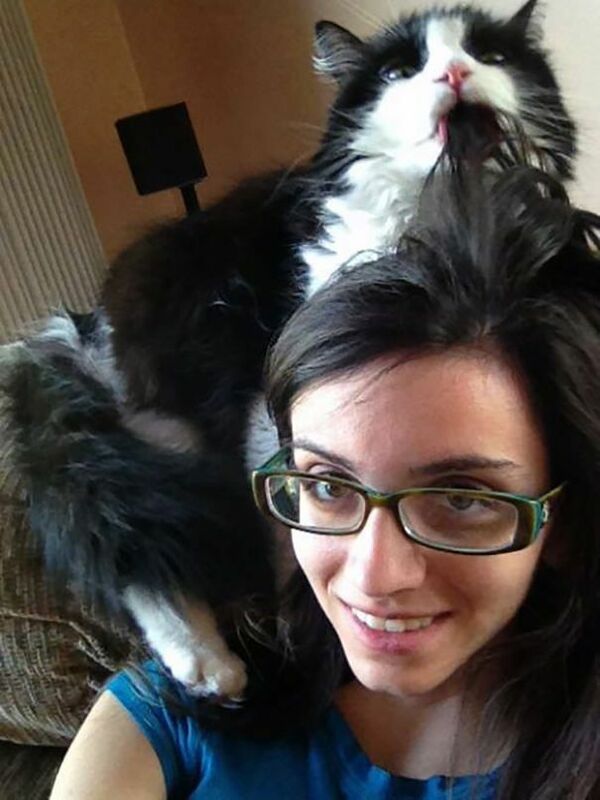 Mmm, mama's hair tastes good. 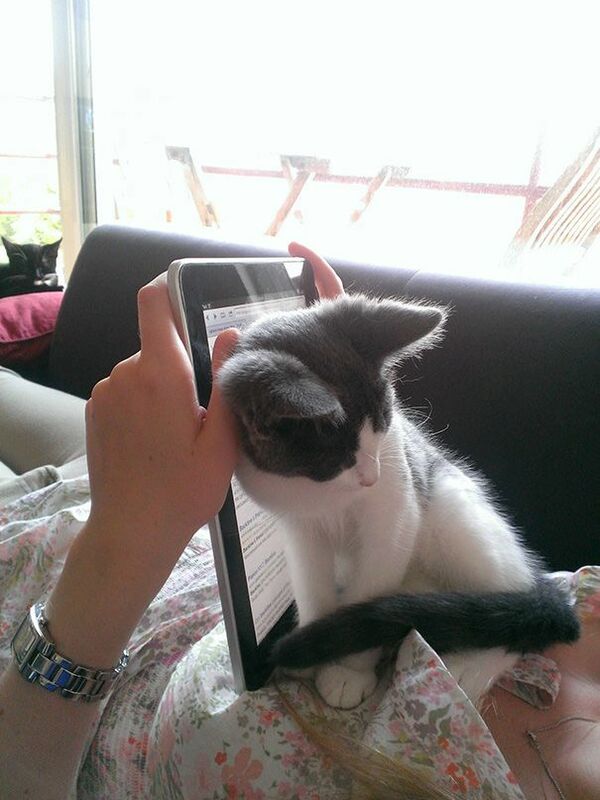 "I was worried you were looking at other cats on the Internet." 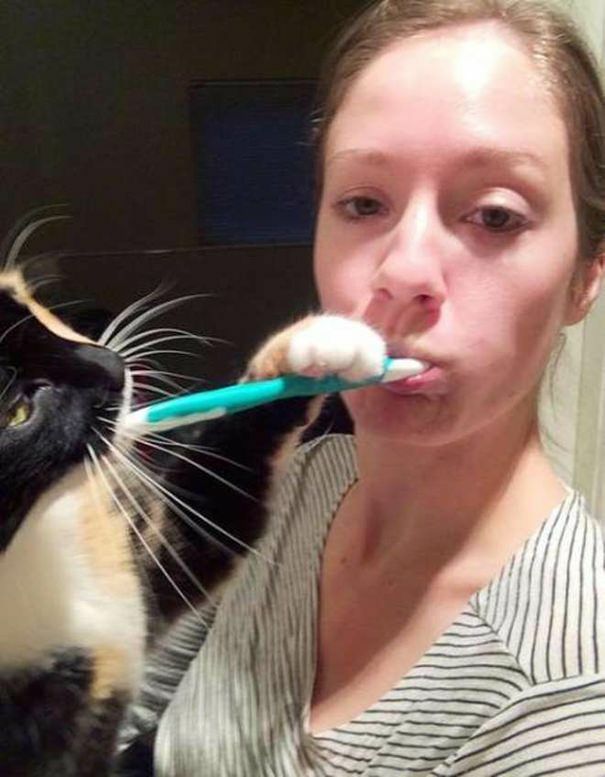 Brushing your teeth is good dental hygiene. Maybe if I snuggle in the car, I won't have to go to the vet! 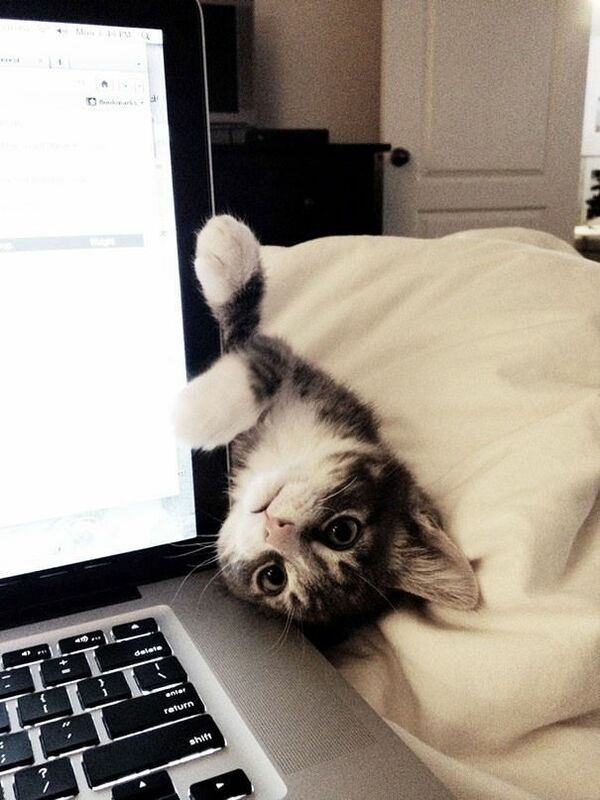 "Oh you're up. Feed me." 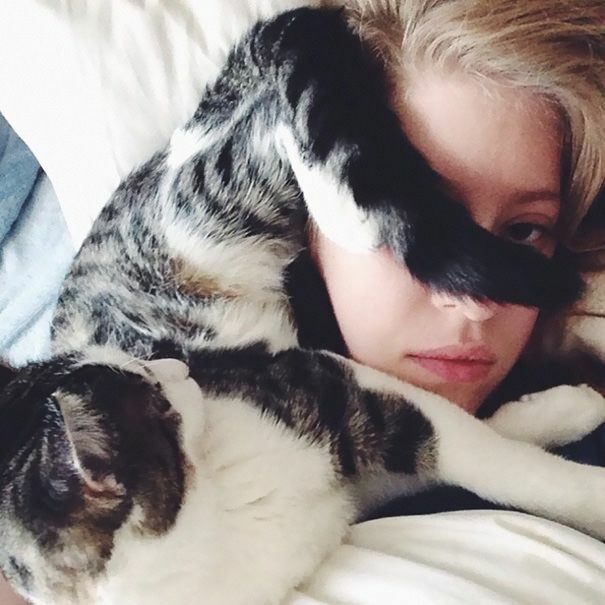 Cats just know when we need their snuggles. 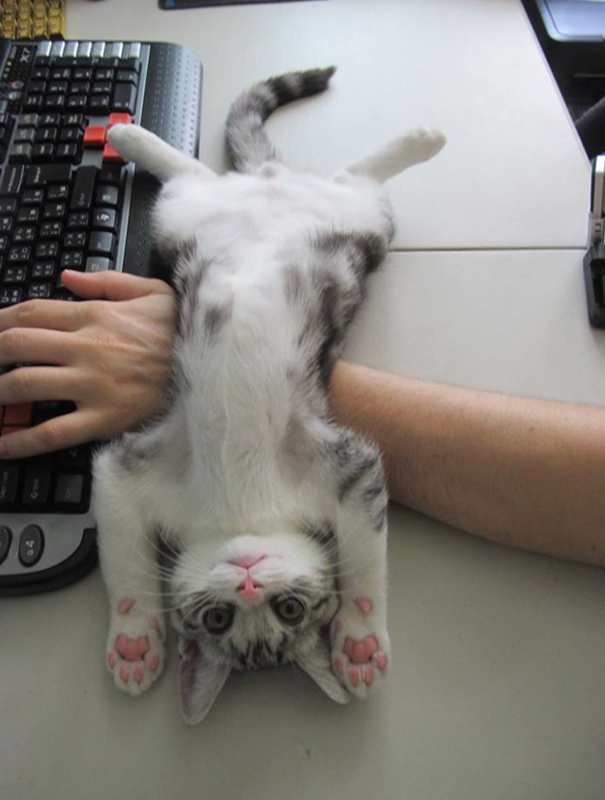 You seem busy but... is it cuddle time? And more important than whatever you're doing. 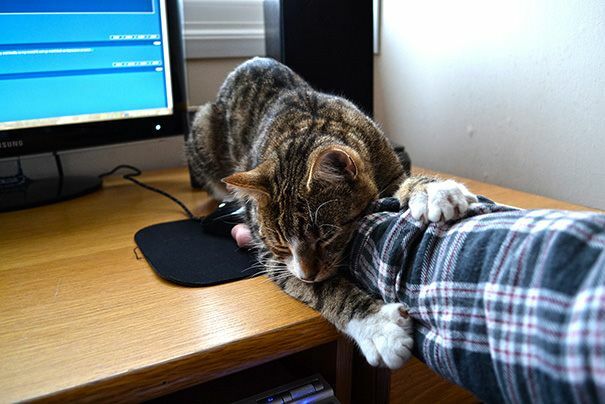 This is something only cat owners understand. Any time is snuggle time! Don't, like, bend over backwards or anything. 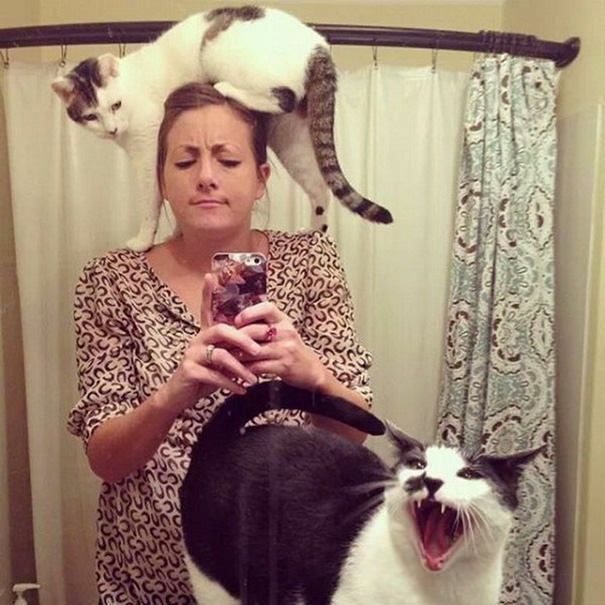 Your cats are sending you a message. You might be spending too much time staring at your phone. I'll sit right here then. In case you were wondering, it's not a matter of time. 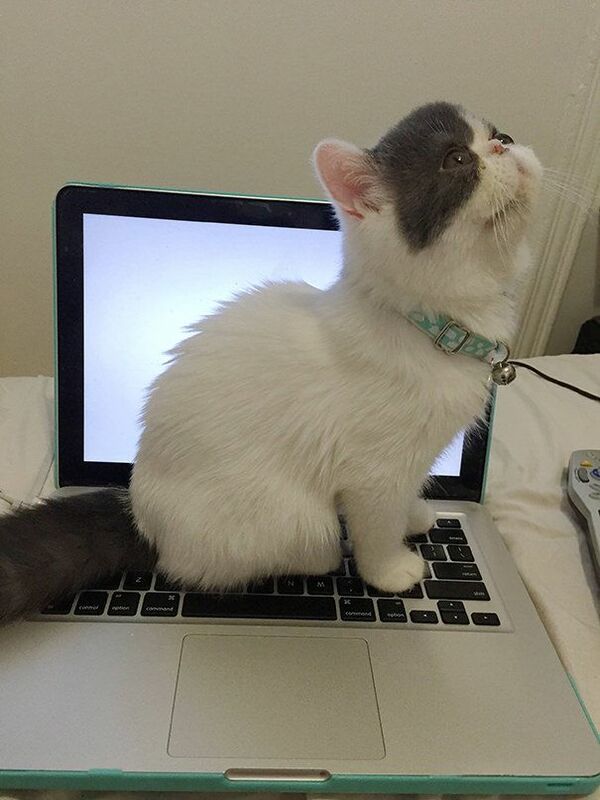 It only takes seconds for them to realize this is a good spot to sit. 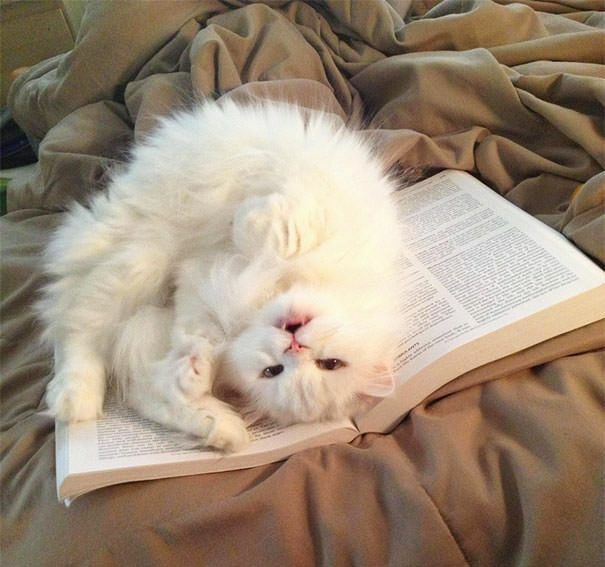 You can NOT resist this fluff.